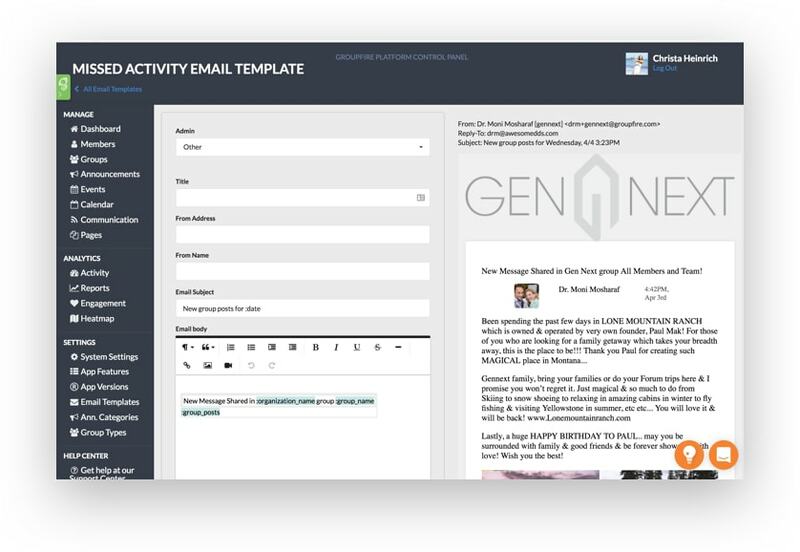 Beautifully designed emails seamlessly synced with your system and member activity. 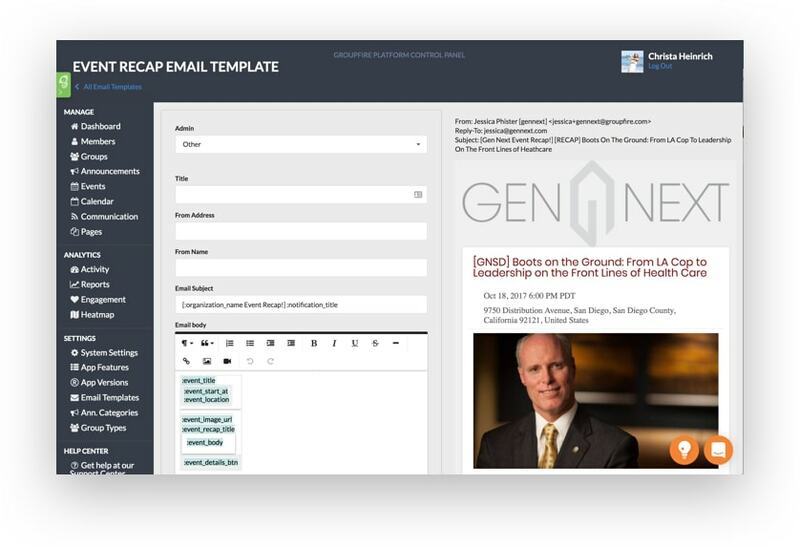 Don't see the email template you're looking for? Instantly create a new one! Welcome and retain members with custom built, automatic Welcome Emails sent directly to new members. 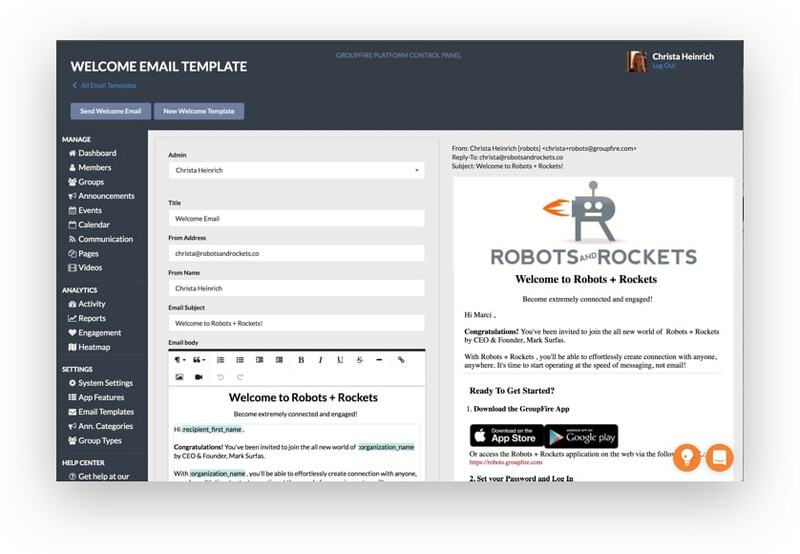 Automate emails to send when you want them to. Missed notifications, messages and reminders. It's totally up to you! Your members will never miss a beat. Recaps and reminders. Completely automated. Send the perfect email. At the right time. Easily update content, images and structure. Schedule your emails to send anytime based on any action. Full analytics into all of your email activity. No more surprises. 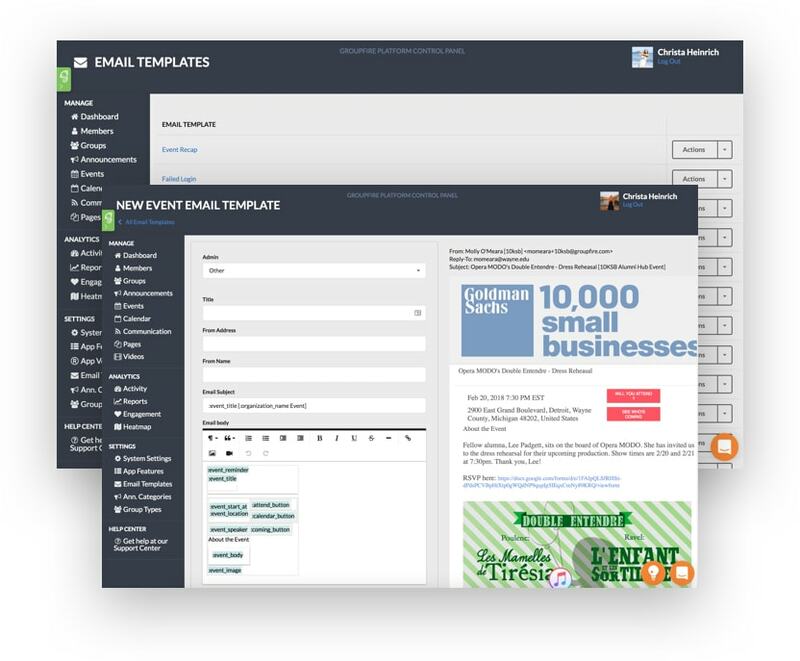 A library of email templates built just for you. How could you say no?